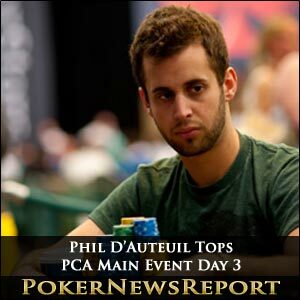 Canadian Phil D’Auteuil ended Day 3 of the $10,000 buy-in main event at the PokerStars Caribbean Adventure (PCA) in control after fighting his way up from the middle of the field to the top of the leaderboard. The Quebec native sits on 1,472,000 after four levels were completed, to be closely followed by fellow Canadian Sam Greenwood on 1,401,000, while the top five is completed by a trio of American pros in Day 2 chip leader Faraz Jaka on 1,220,000, Alex Fitzgerald (1,154,000) and Anthony Gregg (1,129,000). Yet another States player, Kyle Julius, is the only other survivor to top the one million mark with 1,019,000 in sixth place, although German Peter Dräxl (951,000), a third in Canadian in David Bernstein (876,000), Team PokerStars Pro Luca Pagano (863,000), and California’s David Peters (857,000) are not too far behind the chip leaders in places seven to 10. Day 3 started with 183 players remaining – and only 23 away from the money – from the initial field of 1,072. But that was chopped back to 64 at Paradise Island’s Atlantis Resort and Casino, with the unfortunate bubble boy being PokerStars qualifier Roberto Bermejo, of Spain, back in 161st place after just 45 minutes of play. Bermejo and Dutchman Ruben Visser took a flop of 5♦ 9♠ 10♠ following a pre-flop raise and call. Raiser Bermejo then led out for 8,000, with Visser calling to see the J♣ arrive on the turn. The Spaniard placed another 8,000 into the pot, only for Amsterdam’s Visser to raise that to 28,000. After giving his next move some serious though, Bermejo eventually made the call. The 3♥ arrived on the river to see Bermejo slow down by checking. But Visser fired in 30,000, leaving Bermejo to think once again before moving all-in for his remaining 45,000 or so. Visser – who finished 44th at the World Series of Poker (WSOP) $10,000 buy-in main event last summer for $196,174 – assumed he was beaten and seemed reluctant to add an additional 15,000 to the ever-growing pot, but did so to turn over Jd-10d for two pair. However, Bermejo revealed K♥ K♣ for a pair, resulting in the Spaniard’s elimination. Bermejo’s exit will certainly have come as a relief for Thomas Miller as he finished in 160th for $15,000. San Jose’s Jaka, with 11 WSOP cashes to his name, had started the third day as chip leader with 902,500 and at no point dropped out of the top five to end up in third when the chips were bagged up for the night. The American had something of a rollercoaster day, though, doubling up several players, including Team PokerStars pros Javier Dominguez and Barry Greenstein, although he did battle back to add more than 300,000 to his stack to sit on 1,220,000 and remain a danger to all players still left in the tournament. Canuck D’Auteuil, meanwhile, had started way down in the rankings, but swiftly added to his chip stack to eventually end Day 3 as leader. D’Auteuil – whose best finish came back in October of 2008 with fifth in the £5,200 buy-in No-Limit Hold’em main event at the European Poker Tour (EPT) European Poker Championships in London for $358,467 – made a massive move in a hand with Peruvian Esteban Ripamonti. The Canadian, with 6♣ 5♣, had Ripamonti, who showed 8♥ 8♠, all-in with a board of A♣ Q♣ 5♥. The turn brought the J♦ and the river showed K♣ to give D’Auteuil a king-high flush and eliminate the South American. 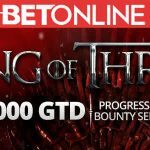 At the same time, D’Auteuil moved over the 700,000-chip mark and that soon became more than one million as the Canadian zoomed up the rankings. Another Canadian, Xuan Liu, is the last woman still in the field, but also climbed up the rankings late in the third day to end up with 680,000 chips in 16th place. Liu had hovered about 200,000 chips for much of the day, but then sent Russian Mikhail Shikhworich to the rail to break through the 600,000 barrier. Shikhworich put in a three-bet of 242,000 while holding 7♠ 7♦, but was called by original raiser Liu with J♠ J♥. The Toronto player’s hand held on a board of 4♦ 3♠ K♠ 10♥ 3♥ and thereafter remained among the highest chip counts. 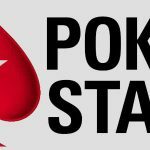 Pagano, meanwhile, was joined by three other Team PokerStars Pros in surviving to make Day 4 – and they are Jan Heitmann (395,000), Greenstein (379,000) and Arnaud Mattern (155,000) – while Spanish golfer Sergio Garcia (235,000) also returns today. Chicago’s Greenstein – a three-time WSOP bracelet winner – enjoyed a fantastic middle section of Day 3 to reach 550,000, before losing out in a hand to Jaka to fall back down a little. American Galen Hall – last year’s winner for $2.3 million – remains in the hunt for the top prize of $2 million after completing the day on 168,000, although he will have some work to do as he is way below the average stack of 502,500. Still, the San Francisco-based player has already enjoyed a fantastic PCA after finishing third in the $100,000 Super High Roller for $470,400, so will be confident of improving on the almost 17 big blinds he will start today with. 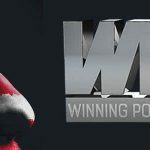 Numerous big-name pros failed to make the money, with the likes of Team PokerStars Pros Leo Fernandez and Pat Pezzin being joined by players such as Barry Shulman, Brian England, Nicolas Chouity, David Inselberg, JC Alvarado and Robert Rosen leaving the event with nothing to show for their efforts. However, while many other stars did crash out, they also made the money, including Team PokerStars Pros Juan Manuel Pastor (155th place for $15,000), Liv Boeree (133rd for $17,500), Noah Boeken (126th for $17,500), Randy ‘nanonoko’ Lew (120th for $17,500) – just a few days after breaking the world record for most hands played in an eight-hour session while showing a profit with an incredible 23,493 – Joao Nunes (117th for $17,500) and Christian De Leon (90th for $22,500). 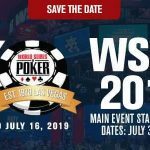 They were joined at the rail by the likes of November Niner Phil Collins in 84th place for $25,000, Andrew Lichtenberger (105th for $20,000), Connor Drinan (102nd for $20,000), Carlos Mortensen (94th for $22,500), Shawn Buchanan (130th for $17,500), Philippe Rousseaux (135th for $17,500) and Leif Force (149th for $15,000). Also making the money were PokerStars SportsStar and racing car driver Gualter Salles (107th for $20,000), of Brazil, and PokerStars Team Online’s Shane ‘Shaniac’ Schleger (156th for $15,000), Anders Berg (141st for $15,000) and Javier Dominguez Gomez (114th for $17,500).